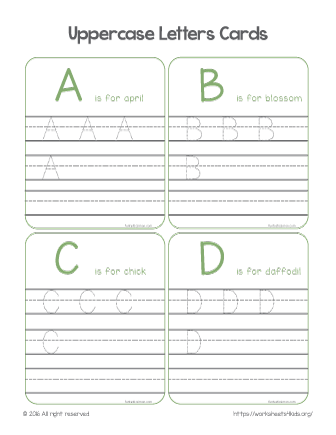 Spring themed printable letter tracing worksheet help kindergarten kids practice writing the alphabet. Cut out the cards and give one at a time for your child (pick the letter you are learning this week). Learn new spring-related words. See tracing lowercase letters set 1.